Dealing with emergencies in Australia is common place – we are a country of extremes. If it isn’t drought, it is either flood or bushfire season. But this ancient, vast, beautiful country is captivating and I am grateful I have chosen to live here. In her poem, “My Country”, Dorothea Mackellar described our wide vast land to perfection. Her words take me back to my childhood and lazy, dry, hot Summer days. This is my favourite verse. 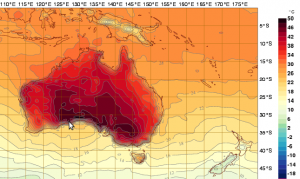 In early January we had record high temperatures and strong hot winds across the entire country, resulting in an enormous number of bush-fires in New South Wales, Victoria and Tasmania. A Total Fire Ban was declared in New South Wales and the devastation was so widespread in the eastern states, it stretched the N.S.W. Rural Fire Service and State Emergency Services to their limits. What would we do without them! Our volunteers are the backbone of the N.S.W. Rural Fire Service and the State Emergency Service. There are 2,094 rural fire brigades in N.S.W. made up of about 70,000 volunteers who provide emergency services to over 95% of N.S.W. During the very week of the bush fires, I met two amazing volunteer fire fighters waiting to drop everything and go fight fires to save lives and homes. One was my painter who had to put my renovation job on hold while he fought fires in Cooma. The other was my wonderful body therapist who was on call while loosening my muscles which were tight from renovating!! How courageous they are? These two men, and all those brave men and woman on the front and behind the scenes, give so much of their time, without payment – just the satisfaction that they are helping others. During the floods that followed in Queensland and New South Wales, once again the State Emergency Service (SES) volunteers came to the rescue. SES volunteers and Rural Fire Service volunteers come from all walks of life and each contributes to their local community in their own way. So many people have lost everything and we can all help by donating to goods to the charities which support these disasters. Red Cross can help. During an emergency, b e it large or small, everyone needs physical and emotional support. Natural therapies are non-invasive and can do no harm – they will help you cope and feel better to face whatever the emergency brings. Australian Bush Flower Essences can be of assistance in bringing emotional and physical balance back to ANY body. Whether you are a victim of a disaster or trauma, or the rescuer, shock and distress can still affect even the strongest person. EMERGENCY ESSENCE can help relieve initial shock and post-traumatic stress syndrome (PTSS) following an incident. EMERGENCY ESSENCE DROPS can be administered orally (if appropriate) or topically, to help bring calm to a crisis. It is excellent for any emotional upset. 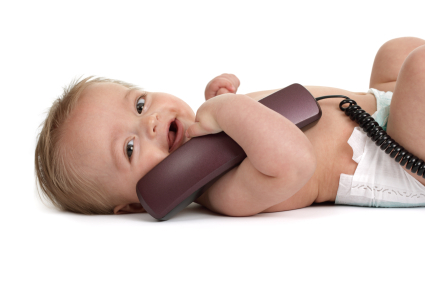 If a person needs specialized medical help, EMERGENCY ESSENCE will provide comfort until treatment is available. Administer EMERGENCY ESSENCE oral drops every hour or more frequently if necessary, until the person feels better. Great for injured pets and wild life as well. EMERGENCY ESSENCE CREAM is helpful for skin rashes, insect bites and any skin irritation – it has a marvellous soothing effect on irritated skin. Every first aid kit should have it! EMERGENCY ESSENCE MIST can be sprayed on the skin to relieve symptoms and calm the emotions. It is great to keep in the fridge or esky and use as a cooling mist during hot weather. EMERGENCY ESSENCE is available in oral drops, body mist and cream and can be purchased from my online shop. Anybody who has experienced BOWEN TECHNIQUE knows that an overwhelming feeling of relaxation takes over following the first two moves. These initial Bowen ‘moves’ tell the body that “the emergency is over”. If you have experienced a trauma or shock recently, are suffering from Post Traumatic Stress Syndrome or just can’t cope, then Bowen Technique can help. The Bowen Technique not only addresses the musculo-skeletal framework, but also the fascia, nerves and internal organs. The body’s biofeedback response improves circulation and lymphatic drainage and aids in the assimilation of nutrients and elimination of toxins. Following a Bowen Technique session, a deep sense of overall relaxation is often experienced. 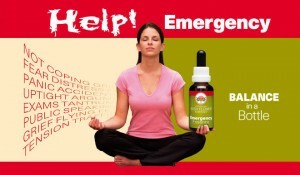 Regular Bowen Technique, in combination with Australian Bush Flower Essences, can help any body recover from an emergency, stressful situations, trauma and shock. I guarantee you will feel better with Bowen!!! Call Maree for a no obligation chat on how Bush Flower Essences and Bowen Technique can help you recover from stress.